IF YOUR USCG (CERTIFICATE OF DOCUMENTATION) HAS PASSED 30 DAYS OF EXPIRATION, YOU MUST REINSTATE YOUR DOCUMENTATION. PLEASE FOLLOW THIS LINK TO "REINSTATE" YOUR (CERTIFICATE OF DOCUMENTATION). 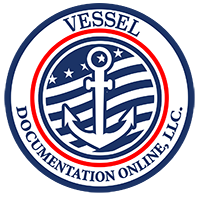 IF UNABLE TO COMPLETE THE CERTIFICATION BECAUSE ONE OR MORE OF THE ITEMS LISTED ON THE CERTIFICATE OF DOCUMENTATION HAS CHANGED, CONTACT US AT SUBMISSIONS@USVESSELDOCUMENTATION.CENTER. FAILURE TO REPORT CHANGES OR RETURN THIS CERTIFICATION BY THE EXPIRATION DATE MAY RESULT IN PENALTIES AND/OR REMOVAL OF THE VESSEL FROM DOCUMENTATION. OPERATION OF THE VESSEL WITH AN INACCURATE OR INVALID CERTIFICATE OF DOCUMENTATION MAY RESULT IN ADDITIONAL PENALTIES. LATE SUBMISSIONS MUST BE RECEIVED BY THE USCG WITHIN 30 DAYS OF EXPIRATION. HAS YOUR PHYSICAL ADDRESS CHANGED? If YES, please input your new physical address. If YES, please input your new mailing address. I CERTIFY THAT THE RECITATIONS CONCERNING THE VESSEL: NAME, TONNAGE, DIMENSIONS, PROPULSION, OWNERSHIP, HAILING PORT, RESTRICTIONS, ENTITLEMENTS, REMARKS AND ENDORSEMENTS CONTAINED IN THE CERTIFICATE OF DOCUMENTATION REMAIN ABSOLUTELY THE SAME.